Dust Removal System (DRS) comprising cleaning rollers and cleaning pads range are manufactured to give the optimum contact cleaning on all flat surfaces removing dust and dirt. The DCR dust Cleaning roller is simply rolled over the material surface to be cleaned, then to clean the roller it is rolled over a sticky cleaning sheet on a pad. 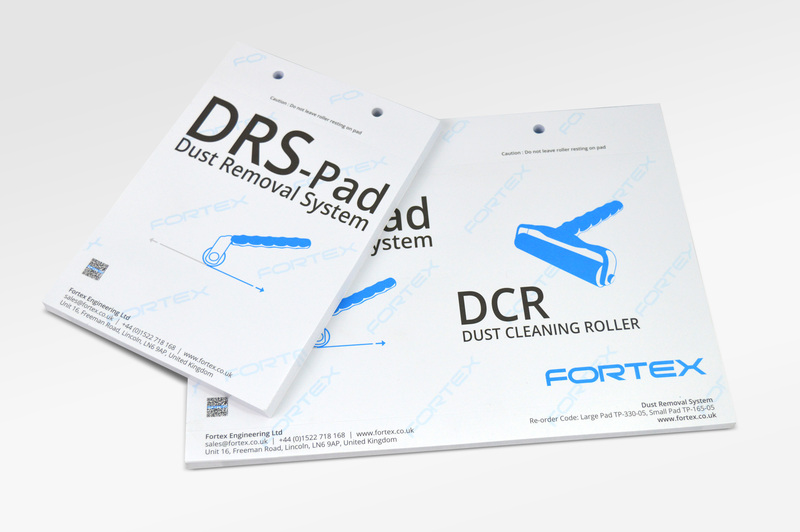 These DRS Polymer dust cleaning Rollers require no special handling, chemicals or wipes. The tacky polymer Elastomer surface of the roller lifts particulate matter without liquids or sprays and the cleaning rollers are cleaned during the process when the roller comes into contact with a (DRS) dust removal system pad. 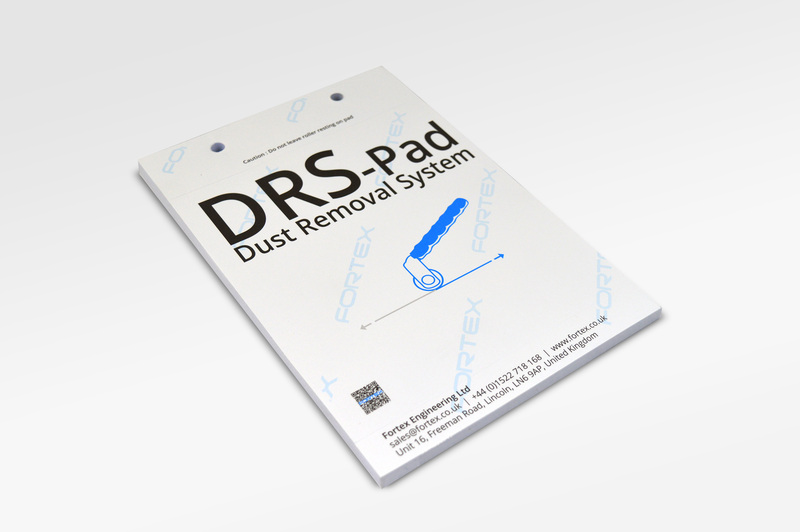 The DRS dust removal cleaning rollers can be used for cleaning glass, exposure frames, laminates, photo tools, dibond and any other flat surface where complete removal of foreign particle matter is essential such as in controlled clean room environments. 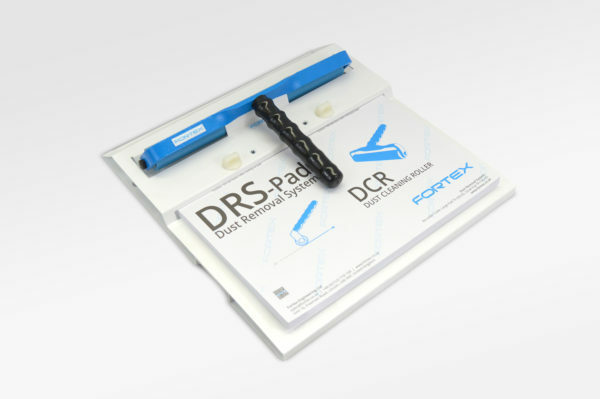 Another popular use for the DCR contact cleaning rollers is for screen printing applications, prior to graphics being applied or cleaning the surface of prints and or UV cured inks on paper or metal prior to the application of varnish or Laminating processes. Order Code: N/A. 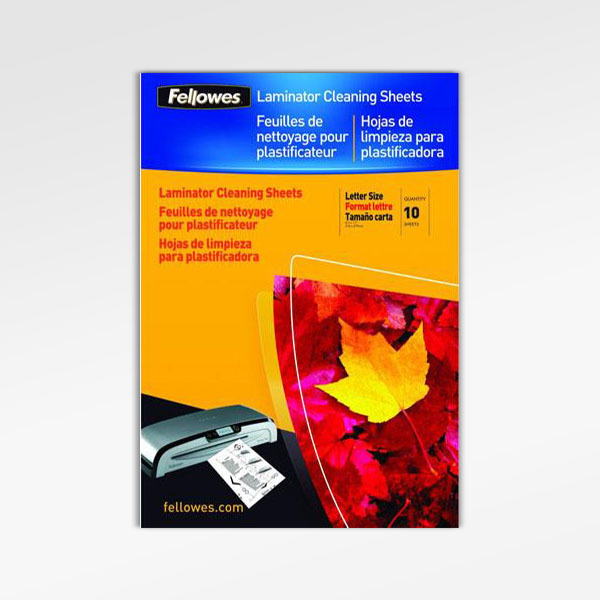 Categories: DRS Dust Removal Cleaning Rollers & Tacky Pads, Dry Film Laminator Accessories, Photoplotter Accessories, UV Exposure Units. Tags: Clean room mop, Clean room sticky roller, Contact cleaning hand roller, DCR, dibond cleaning, DRS, Dust cleaning roller, Dust Removal Roller, Dust Removal System, Elastomer Roller, Polymer Roller, Tacky Cleaning Pads, Tacky Cleaning Roller, Tacky Pad. 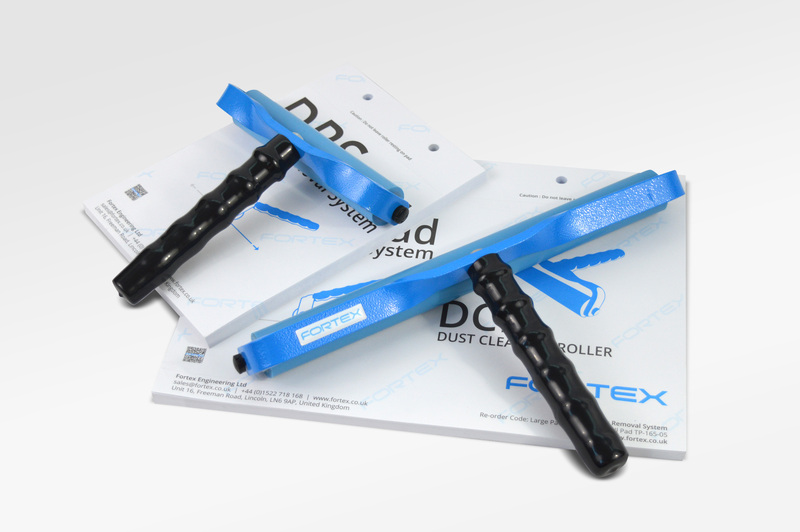 Dust Cleaning Roller (DCR) and contact cleaning pads are manufactured to give optimum cleaning on all flat hard surfaces. 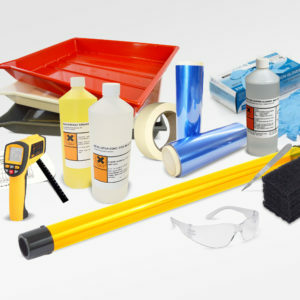 The DCR Polymer tacky rollers can be used for applications such cleaning glass, cleaning metal plates, cleaning inkjet wide format prints prior to Lamination etc, exposure frames, laminates, photo-tools, face mount photo prints to plexi, photo papers, clean room environments and any other flat surface where complete removal of foreign particle matter is essential. 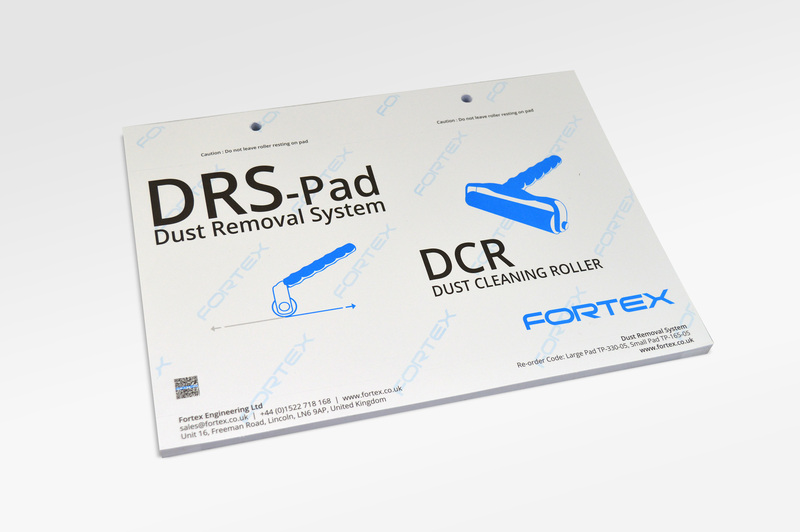 Fortex DCR tacky hand contact cleaning roller assemblies have been engineered to offer high reliability and to minimise fatigue to the operator, from the lightweight aluminium frame to the effective high performance transfer roller with longlife dual steel roller ball bearings too facilitate easy smooth cleaning. A specially formulated self adhesive Elastomer compound has been used to coat the Aluminium rollers, which gives exceptional particle transfer on contact, with virtually no static generation. 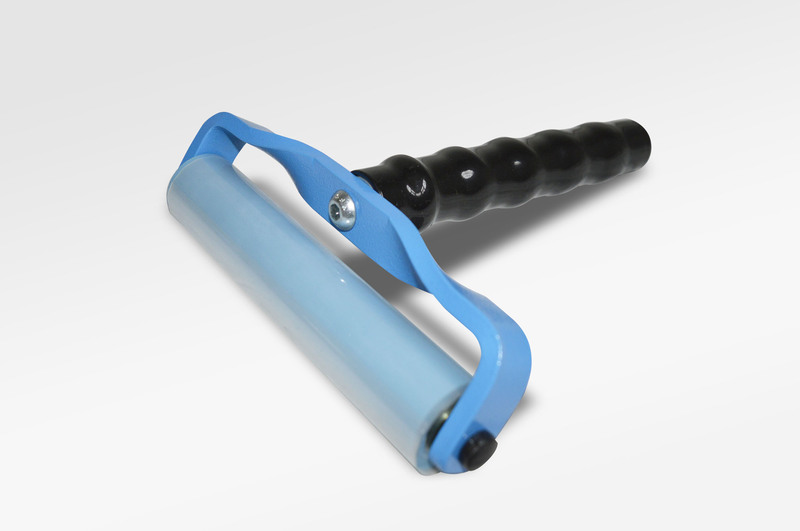 The colour of the Elastomer rollers is a pale blue to give ease of viewing of removed contamination. The DCR tacky contact cleaning rollers greatly minimise production downtime as they can even be used during actual production in the critical clean room environment where prevention of airborne particles is critical. 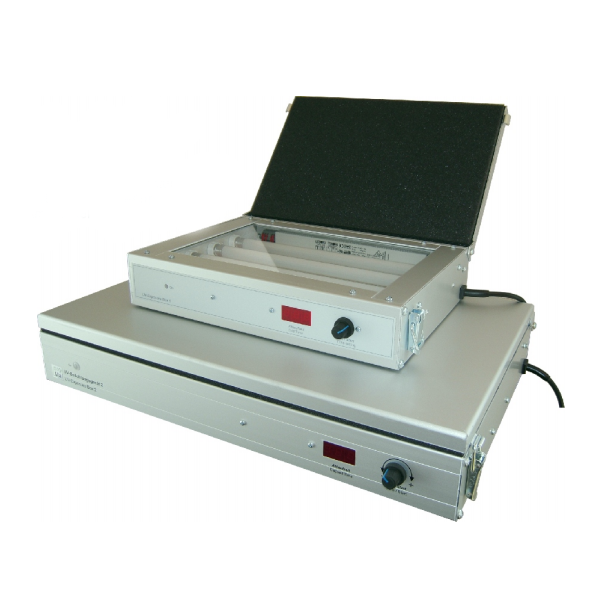 The Polymer dust cleaning rollers are clean room class rated and can be used on all internal areas of a clean room including floors, walls and ceilings. 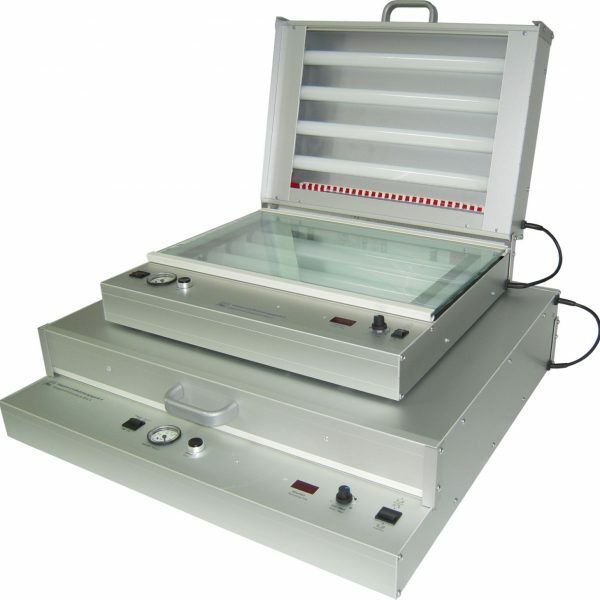 The DRS Cleaning rollers are popular in many industries including those involved in flex circuits, LED, LCD, PCB and SMT production for micro contaminants removal such as dust and particle removal. Considerable cost savings can be made, as use of the DRS Silicone cleaning rollers can prevent the need for closing down a clean room to decontaminate. The Rollers will last many year under normal use unless abused or cleaned with unsuitable chemicals. 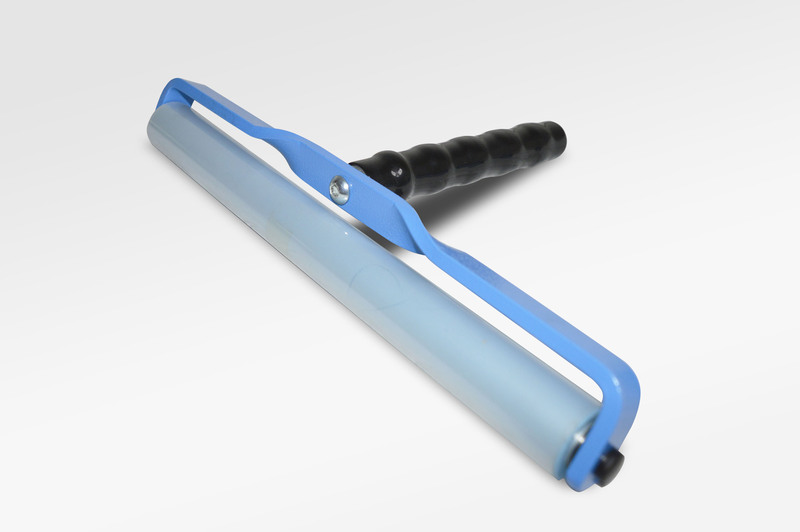 Isopropyl Alcohol or warm soapy water are the only 2 chemicals that should be used to clean the rollers. 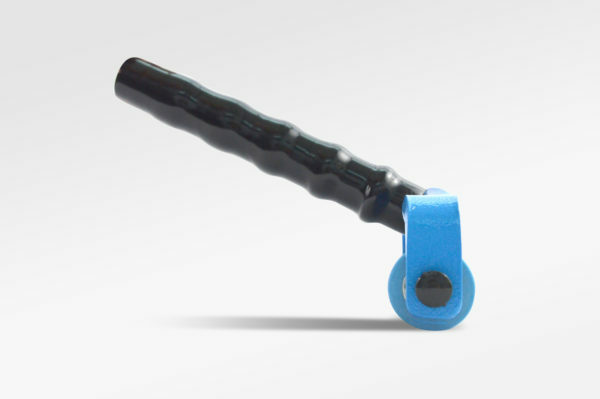 The Polymer DCR tacky sticky rollers are also often used for various applications in the screen printing industries and graphic media product applications. These DRS tacky Rollers offer the ultimate in performance for removing foreign particle matter contamination from hard flat surfaces, without the need for cleaning products and chemicals. Unwanted particles as small as one micron are readily removed from the substrate. Fortex DRS (Dust removal System) adhesive DCR tacky sticky cleaning pads have been designed to remove all contamination from dust cleaning rollers without any adhesive transfer back to the Polymer tacky roller. These dust cleaning rollers are particularly suited for use in high quality contact cleaning applications throughout most industries.